home Language Arts Connections, Science Suggestions Do you need a few free seek-a-word puzzles? 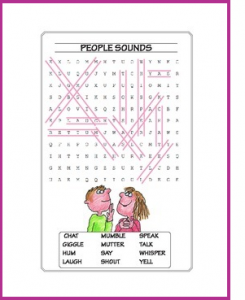 Do you need a few free seek-a-word puzzles? A fun way to help students learn how to spell science terms is with seek-a-word puzzles. 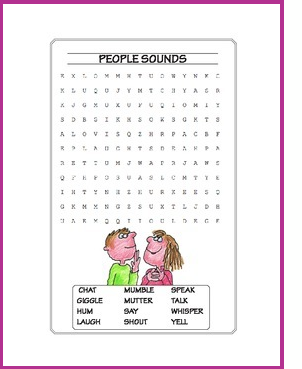 I’m still adding seek-a-word puzzles so check back often to see what’s new in my store. Let me know if you have a topic (and a list of terms) that you want me to add to the Simply Science store. To create your own puzzles, visit Discovery Education where you’ll find an easy puzzle maker. In a similar vein, I taught middle school math and put out math-related puzzles for when students finished. Middle school students needed a bit more motivation to do (groan) “more math”. I handled this in two ways over the years. I assigned “Math Plus” point values to sheets and had several new ones out each week that related to the week’s topic. Students had to acquire a certain number of Math Plus points in a term. Sheets could also be completed at home. That number of points was then counted as one assignment. The other way I handled it — and the way I eventually liked better — was to give tickets out for extra sheets that were entered in a weekly drawing on Friday for “valuable” prizes. Students also got tickets for other positive behavior such as starting work right away, working diligently until finished, or helping a fellow student. My students love this type of activity. I have these ready for students who finish early and need something to do instead of just sitting there. It is great when they are tied to the subject that we are studying. I just “create your own puzzle” for spelling words each week as homework for my class. They love playing the game and don’t realize that they are really studying for the spelling test.